It started around the late eighties and early nineties. 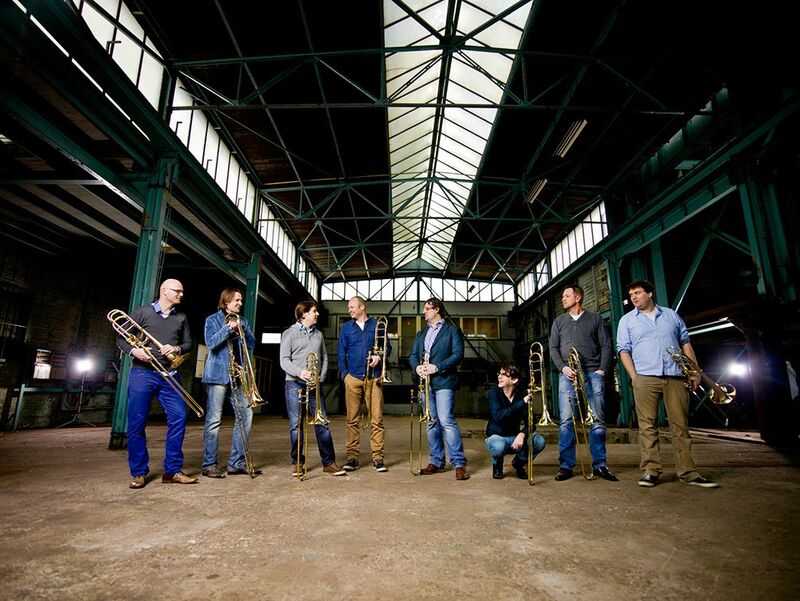 A special club of trombonists came together at the conservatory in Rotterdam NL. After their study they enhanced the trombone sections in the Dutch orchestras and ensembles. Since 2001, the collective of friends has a name: the New Trombone Collective. They do everything to successfully promote the trombone and its music to the widest possible public. With their unparalleled passion and enthusiasm they have won prizes such as the Elly Ameling Prize and the ITA Award. They also realized great projects such as the European Trombone Festival Slide Factory, the tribute to Urbie Green as well as a music publishing company. Partly due to its close collaboration with composers, the New Trombone Collective presents surprising combinations of instruments, styles and playing techniques without losing sight of the existing jazz, modern or classical repertoire. To combine their busy careers with the New Trombone Collective is obviously a challenge. This means that they are together at least twice a year for special and inspiring projects in the Netherlands and abroad. No concert is predictable or the same and you can count on surprise, creativity and innovation!